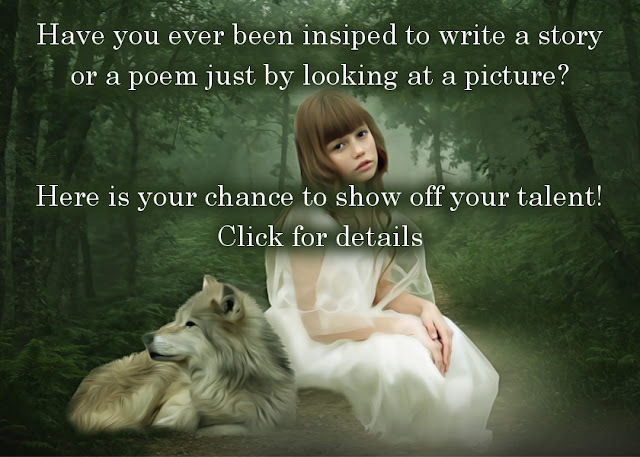 This is a great promo opportunity for authors, poets, and aspiring authors to be promoted on our blog. We will publish an anthology eBook next year with the best stories inspired by the pictures and promote the authors with author photos, bios, and links. For people who love to write but haven't been published yet, it is a great opportunity to test the waters and get feedback on your writing. Plus, you can brag to your friends about having your story published on our website and in an anthology.